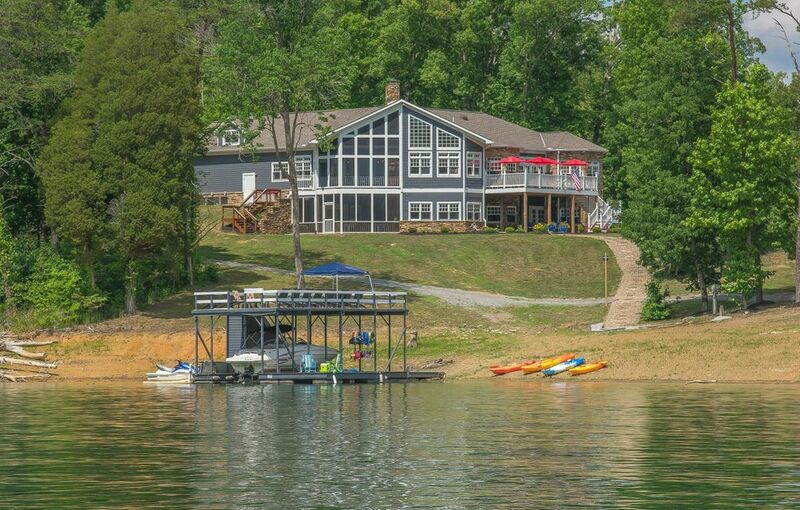 Spectacular lake house at the Peninsula on Norris Lake located in Lafollette, TN. This 2 Story lake home features exquisite details at one of the most beautiful lake communities in East Tennessee. Residents enjoy gorgeous mountain and lake views. The protected Chuck Swann WMA sits directly across the lake. Enjoy 4 Bedrooms, 4 Full Baths plus 2 Half Baths and 6,138 sq ft of living space. New home owners will appreciate the custom Sachi Woodworking (Cincinnati, OH) throughout the home — from the front door to the custom cabinetry in the kitchen, this lake home has it all! All custom chandeliers, sconces and lighting fixtures. Top of the line appliances include Wolf and Sub-Zero with double oven, over-sized Refrigerator/Freezer, two Drawer Refrigerators and Dishwashers. Large walk-in Pantry. High-end custom hardware is used on all doors and hinges from Bona-Hardware. Kohler plumbing fixtures and Jacuzzi Tub. All Pella Custom Double Pane Windows and Sliding Entrance Doors. Cathedral Ceilings in Living Room, Dining Room and Kitchen. Wood Trey Ceilings in Lower Level and all Bedrooms. Large Laundry room with full size Washer and Dryer on first floor. 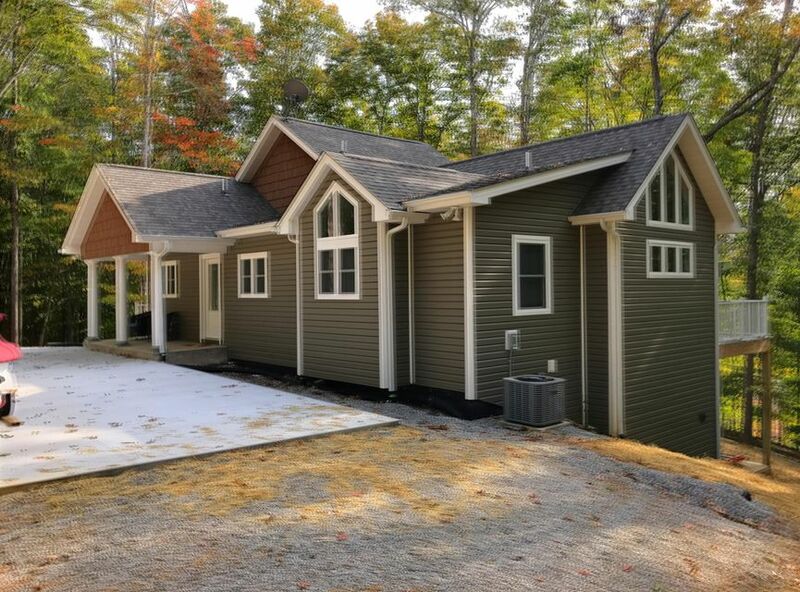 Four Bathrooms with Walk-in Showers and 2 half baths. This lake home is truly amazing! Call today to see for yourself! Personal home tours available! Interior Amenities: Custom Solid 8 FT Hickory Doors throughout, Italian Slate Floors, All Stainless Steel Appliances, Granite Counter-tops, Wine Storage Area, Recessed Lighting, 3 Wood-burning Fireplaces with Natural Stack Stone Finishes, Custom exposed Wood Beams and Metal Brackets in Great Room, 2 Upper and Lower Wet bars, Ice Machine, Master Bedroom Main Level with Hickory Floors, Trey Ceilings in Lower and all Bedrooms, His and Her Vanity Sinks, Custom Slate Showers with Glass Enclosures, 2nd Master Bedroom Lower Level, 2 Lower Level Finished Utility Basements with Utility Sinks and Storage, 2 Gas Furnaces, 2 Gas 150 Gallon Water Heaters, 2 Central AC Units, Central Vacuum System, Security System, Interior/Exterior Surround Sound System including Decks and Porch. Other Notables: Designed by Norris and Dierkers Architects from Cincinnati, OH. Also includes 2 Lots with 1.23 acres & 280+ feet of Lake frontage!